Pulitzer Prize winning playwright August Wilson (April 27, 1945 - October 2, 2005) is one of the most influential writers in American theater. He is best known for his unprecedented cycle of 10 plays, often called the Pittsburgh Cycle because all but one play is set in the Pittsburgh neighborhood where August Wilson grew up. The series of plays chronicle the tragedies and aspirations of African Americans during each decade of the 20th century. 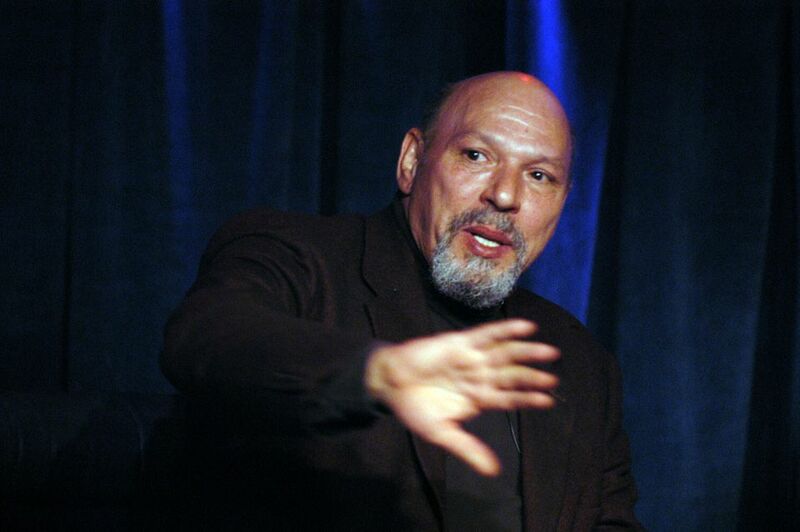 The son of a white father and a black mother, August Wilson was born Frederick August Kittel on April 27, 1945 in Pittsburgh, Pennsylvania. His father, also called Frederick August Kittle, was a German immigrant and baker and spent very little time with the family. His mother, Daisy Wilson, raised August and his five siblings in a small, two-bedroom apartment in the poor Hill District neighborhood of Pittsburgh, working hard as a cleaning lady to put food on the table. When August Wilson was a teenager, his mother married David Bedford and the family moved to Hazelwood, a predominately white working-class neighborhood. There and in school, August and his family encountered threats and racial hostility. After going through several different high schools, including a year at Pittsburgh Central Catholic High School, August Wilson eventually dropped out of school all together, at the age of 15, turning instead to self-education at the Carnegie Library. After his father died in 1965, August Wilson officially changed his name to honor his mother. That same year, he purchased his first typewriter and began to write poetry. Drawn to the theater and inspired by the civil rights movement, in 1968 August Wilson co-founded the Black Horizons Theatre in the Hill District of Pittsburgh with his friend, Rob Penny. His early work failed to gain much attention, but his third play, "Ma Rainey's Black Bottom" (1982), about a group of black musicians discussing their experiences in racist America, won August Wilson wide recognition as a dramatist and interpreter of the African American experience. August Wilson's series of plays brought him recognition as one of America's most celebrated dramatists and earned him numerous awards, among them the Tony Award (1985), the New York Drama Critics Circle Award (1985) and the Pulitzer Prize for drama (1990). The Virginia Theater on Broadway in NYC was renamed the August Wilson Theater in his honor in 2005, and the African American Cultural Center of Greater Pittsburgh was renamed the August Wilson Center for African American Culture in 2006. In 10 separate plays, each covering a different decade of the 20th century, August Wilson explored the lives, dreams, triumphs and tragedies of African-American history and culture. Often called the "Pittsburgh Cycle," all but one of the plays is set in the Hill District neighborhood of Pittsburgh where August Wilson grew up. August Wilson gained inspiration from African American artist, Romare Bearden. "When I [August Wilson] saw his work, it was the first time that I had seen black life presented in all its richness, and I said, 'I want to do that—I want my plays to be the equal of his canvases.'"